Playing in the hulu holiday movie queue the other day I was delighted to stumble upon a cache of Freeform Christmas movies. Several years ago I had found what was to become a favorite holiday film, the Freeform presentation The Twelve Dates of Christmas, and since then I am mildly obsessed with the amazing and insane offerings that Freeform creates around the holidays. One of my favorites of all time is The Twelve Dates of Christmas starring Amy Smart and Mark-Paul Gosselaar. The movie centers around a woman who enters Christmas Eve hung up on her ex, set up on a blind date by her step mother whom she is resentful of, and being generally a little high strung. She finds herself reliving this day again and again until she gets things right, including falling in love with the blind date Miles. This is essentially Groundhog Day for Christmas, only we know she only has 12 dates to get it right. Favorite Batshit Moment: Miles’ wife died a year ago by falling off a ladder while cleaning out the gutters. My current favorite which is not new, but is new to me this year, is The Spirit of Christmas starring Thomas Beaudoin and Jen Lilley. Kate is a lawyer specializing in estate issues, and she needs to sell an inn that is supposedly haunted, but can’t get an appraiser to stay long enough to finish the job. She drives to the inn to force the appraisal and instead meets incredibly good looking ghost Daniel who becomes corporeal for 12 days beginning on December 13th but he has no idea why. Kate decides to help him find the answers in the hope of getting him to cross over so she can sell the property. Does she instead fall in love with a ghost? Does he somehow become corporeal for good? You will have to watch to find out. The movie is worth it for Daniel being ridiculously good looking, oh and there is murder and bootlegging, you know typical Christmas fare. 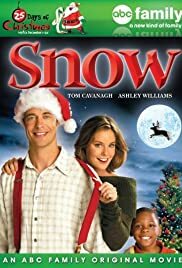 Snow: The current Santa comes to California to retrieve a missing reindeer and falls in love with a cute zookeeper. Christmas Cupid: A PR specialist is haunted by the starlet she represented after she dies choking on an olive until she can fix her messy personal life. Santa Baby: Santa’s daughter, a high powered exec, returns to the North Pole after her father suffers a heart attack to help out and to learn how to love again. Holiday in Handcuffs: A harangued artist kidnaps a patron from the restaurant she works at and takes him home for Christmas to play her boyfriend for a weekend in a cabin with her family. These movies defy convention, and provide a much needed distraction from the typical holiday pablum some channels provide. A large portion of these films can be found on Hulu if you are so inclined to sit back, suspend reality, and let the crazy flow. They really are. Sometimes you just need this particular kind of crazy.